"Progress isn't made by early risers. It's made by lazy men trying to find easier ways to do something." - unknown Simplifying your environment through technology with one knock at a time. Transforming your home into a wireless, switchless and hassle-free way of life. Have you ever felt that you can't leave your bed just to switch off your lights? Knock Knock is the solution for you. 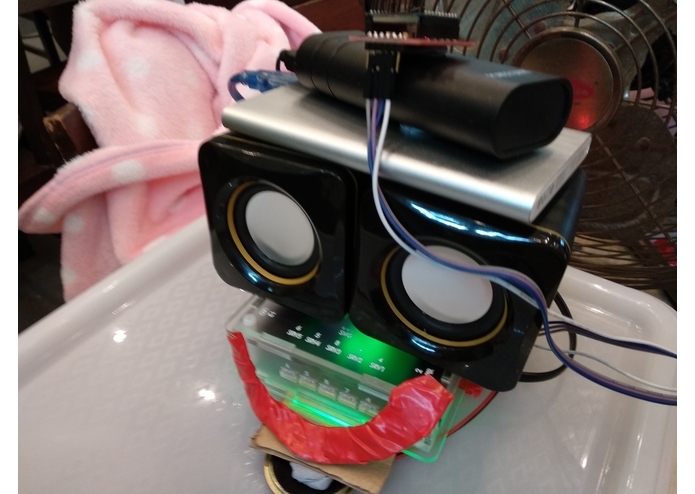 Knock Knock is a simple to use SmartHub that connects the daily appliances around you, by making use of the simple action of "Knocking". Because it uses a physical action as a medium, it gives people who are visually-impaired and have physical difficulties the ease of accessing their everyday appliances. 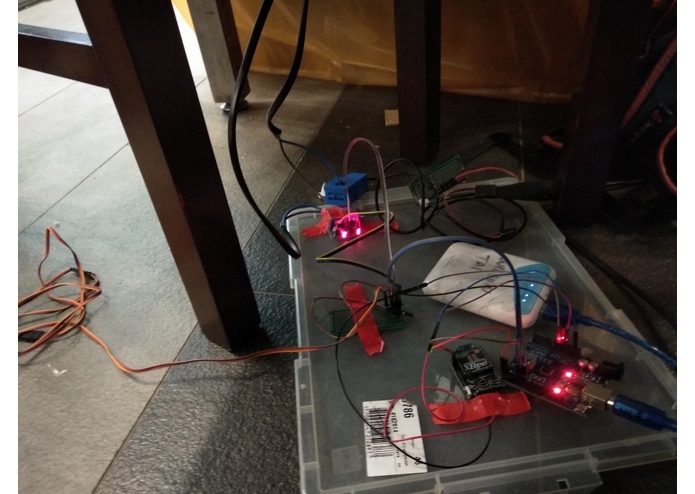 Knock Knock makes use of simple Vibration Sensors on the Arduino platform to sense the knocks on surfaces, thus carrying out specific functions. 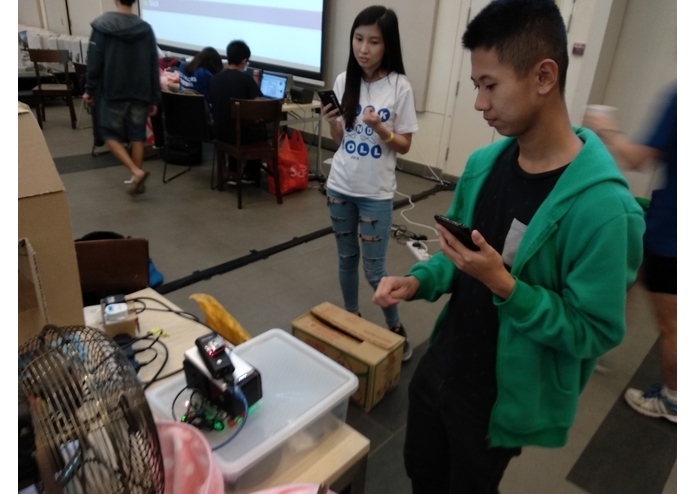 The Zigbee network is used to relay information and control the appliances which are monitored through a Mobile Interface made with Android Studio. 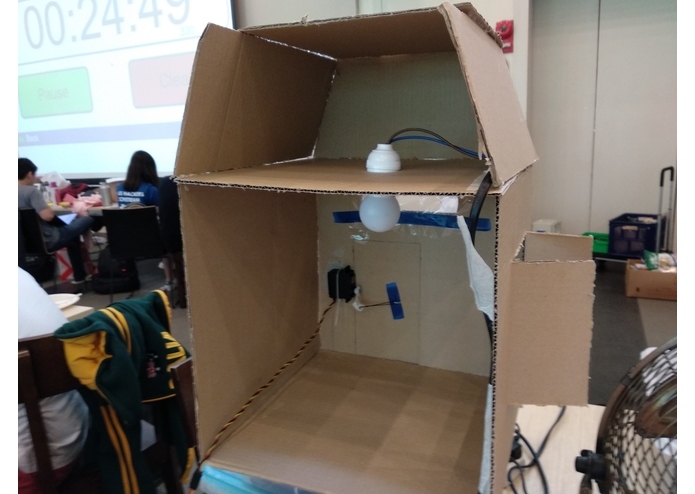 The main challenge was spending a lot of time to develop an algorithm, to identify and allow users to record their own knocking patterns to control their appliances. There were difficulties in doing multi-platform communication as it was a new experience for the team. Technical skillset only gets you that far, determination carries you to the end. Working in a team brings you new challenges every single project. By evolving it to make use of wifi allowing for a wider range of products and ease of access.